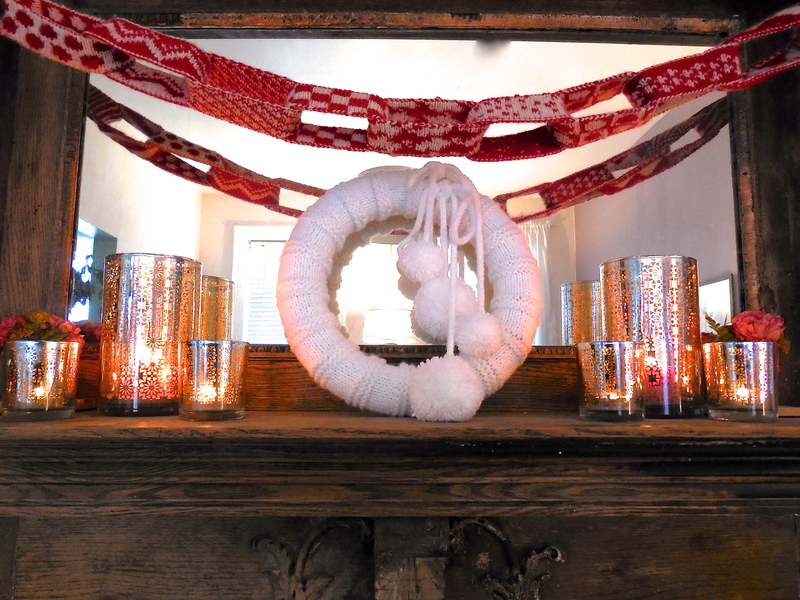 I really wanted to knit something for Christmas, at first I had my mind set on a wreath. I test knit some patterns, however for some reason it wasn’t coming together how I wanted. I then remembered the paper chains I used to make when I was a child. They had almost limitless possibilities, what with the paper choices and if the paper was blank then I’d just add my own design. I started doodling and came up with my first few ideas. I remembered the classic patterns used in those the paper chains – dots, spots stripes. I had some scrap graph paper and charted my first few links, and worked out their order. 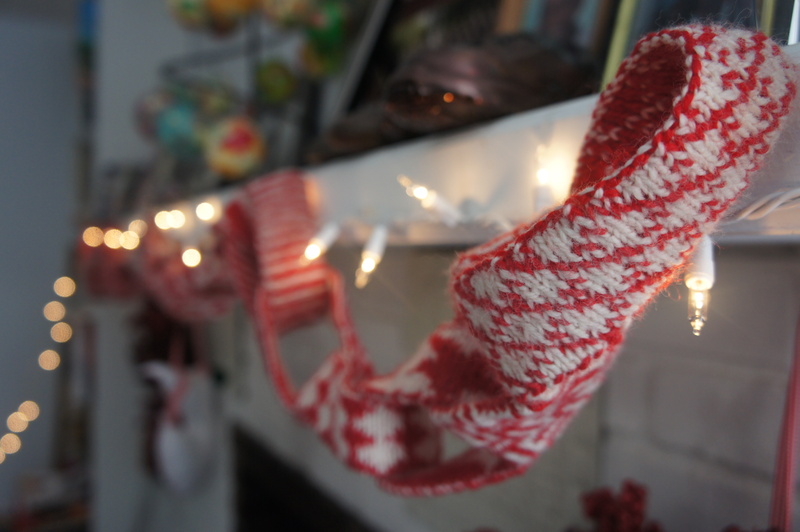 As I was knitting I wasn’t completely in love with how it was turning out. Even after blocking the edges were rolling, and I was a little unhappy with the look of the wrong side. At first I didn’t think it would show that much, but when I hung it up it was way too obvious. Learning to double-knit is a skill that has been on my list for a while. Marie had stashed a class for us on Craftsy. I gathered my supplies and plonked myself down in front of the computer to learn. The cast on was a little tricky to master, but overall basic double-knit isn’t that hard. If it’s something you’ve been contemplating I highly recommend taking a little time to learn, and this chain would be perfect as each piece is so small. I charted all the patterns using Google spreadsheets. I’m a bit techno challenged so once again Marie stepped in and pointed me in the right direction. It really is great having her around. After my initials charts, the links took on a life of their own, and soon I had 24. One for each day leading up to Christmas. The great thing about these links is they can be knitted on any order, and any colour. I’d love to see them in lots of bright colors for a birthday party. I’m planning on re-knitting them multi colored when I have the time. I also love that they can be flipped inside out to reveal the other side and that changes the look and feel slightly. You can purchase the pattern HERE on Ravelry.